A vegan nail polish blog. A celebration of colour and light, as well as of justice for nonhuman animals. This is a unique and kind of weird polish, so needless to say I like it a lot! 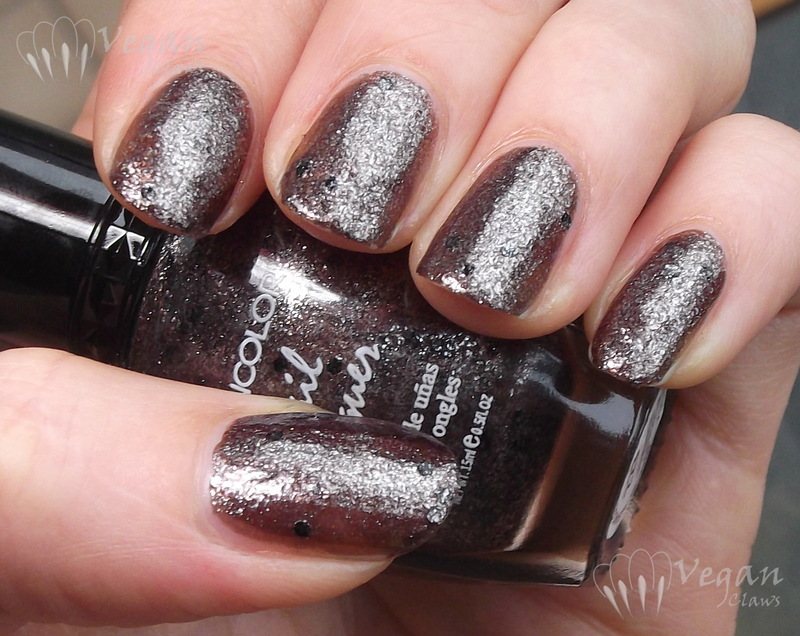 It’s a muddy cool brown with silver shimmer particles and sparse opaque black hex glitter. Formula is good; this was two coats and easy to apply. Be prepared for silver shimmer particles that get everywhere during removal though! These pictures are lit by overcast natural light plus my Ott light.